In the distance stands an intact barn on the crest (red arrow). 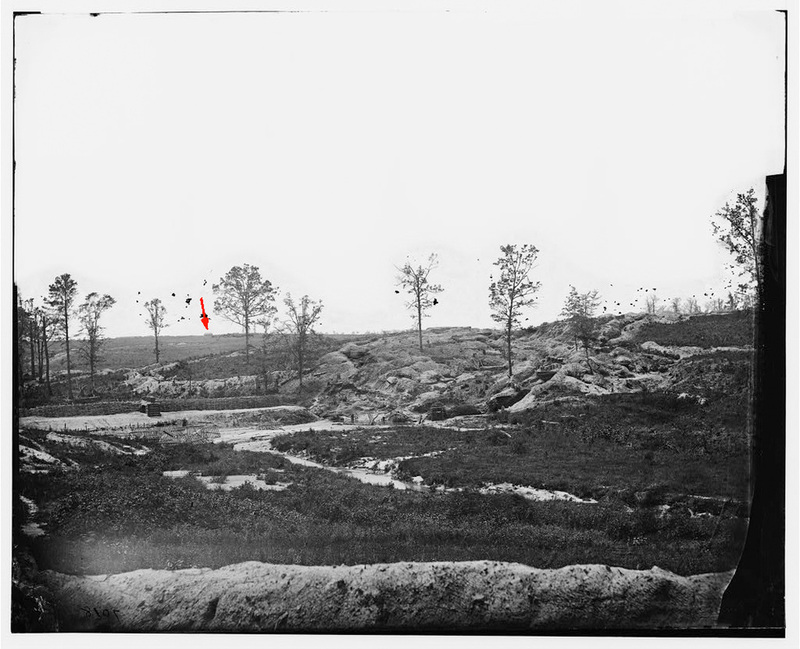 The photo, taken April 1865, is from the rear of Colquitt's Salient and looks across the military dam and Gracie's Salient. The direction is south southwest. A barn on the horizon that survived nine months of warfare. This was likely one of Taylor's barns. Why was it not burned down or dismantled like all of the other farm buildings? Inquiring minds want to know.